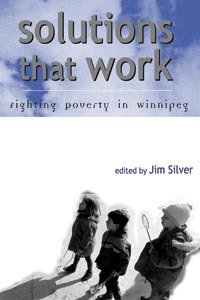 The explosive and dramatic growth of poverty in Winnipeg, and strategies for combating poverty, are the subject of this collection. Some of the chapters discuss the severity and the consequences of poverty; others describe policy solutions, with a particular emphasis on community-based solutions. Included are chapters on: the growth and incidence of poverty in Winnipeg; the impact of poverty on, and community economic development strategies being developed by, Winnipeg's Aboriginal community; community-based schooling as a response to inner city poverty; the experience with workfare in Manitoba; the importance of the minimum wage in combating poverty; and a wide range of small but innovative and exciting community development alternatives which are proving their worth in Winnipeg's inner city. While the focus is on Winnipeg, and particularly Winnipeg's inner city, where poverty levels are astonishingly high and still rising, the patterns analyzed and the policy alternatives offered are applicable to communities across Canada.